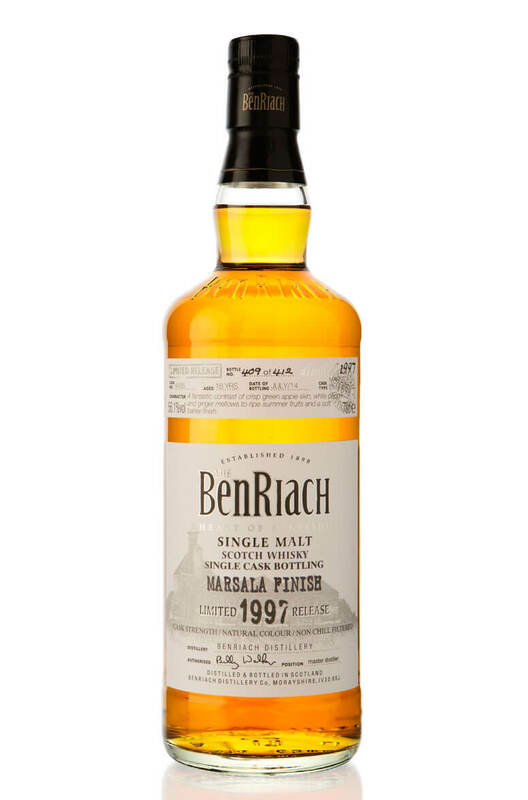 A great single cask expression of Benriach that has been finished in a single Marsala wine cask from Sicily. This was distilled on 25th November 1997 and the cask yielded just 412 bottles. Nose Cracked black peppercorns delicately warm candy apples infused with a touch of mint. Palate A fantastic contrast of crisp green apple skin, white pepper and ginger mellows to ripe summer fruits and a soft barley finish. Types of Barrel used for Aging Finished in a single Marsala wine hogshead.